Domestic institutional investors’ drive against Maruti Suzuki India’s proposal for its Gujarat plant has received a shot in the arm, with the Securities and Exchange Board of India (Sebi) seeking to resolve the tussle. Sebi’s move to seek the details of Maruti’s proposal has sparked hopes among minority shareholders the regulator might take steps to protect their interests. Last week, several mutual fund houses had jointly approached Sebi, saying the deal was detrimental to Maruti’s shareholders. Though the Maruti deal doesn’t violate norms, investors are hopeful Sebi might exercise its powers under Section 11 of the Sebi Act, which empowers the regulator to act in the interests of investors. Lawyers believe Sebi will act if it is satisfied the deal will hurt investors. “The moot question is whether Sebi will interfere in this matter if the proposal is not on the wrong side of law and unless it is proved to its satisfaction that the interest of investors at large is affected by the management’s decision such that it is imperative for it to intervene,” said Lalit Kumar, partner, J Sagar Associates. Another option for institutional shareholders is to approach the Company Law Board (CLB) by filing a case of ‘oppression and mismanagement’ against the company and its management. “Those constituting a tenth of the total number of members, or 100 members, whichever is less, might consider approaching the CLB under Section 397-398 of the Companies Act, 1956, claiming the affairs of the company are being conducted in a manner prejudicial to their interests,” said Parikh. A fund manager said shareholders weren’t ruling out approaching the CLB, but they would need Life Insurance Corporation (LIC)’s backing. 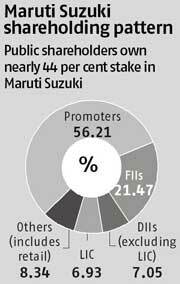 Currently, domestic institutional investors own just seven per cent stake in Maruti Suzuki India (excluding LIC’s stake of about seven per cent stake. 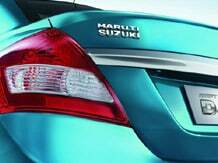 Separately, the life insurer has sought details on the proposal from Maruti. An LIC official said the company’s action would depend on Maruti’s reply. Experts believe Maruti should voluntarily seek an approval from its public shareholders by way of a special resolution. “While the existing law may not require approval from shareholders, good governance requires approval of the transaction by shareholders, considering its huge impact on the company. Also, the soon-to-be-implemented company law provision requires such approval,” said JN Gupta, managing director, SES. Maruti’s institutional shareholders said that they would await the outcome of the car maker’s board meeting slated for March 15.